A rotary screw air compressor is a positive displacement compression system that includes a pair of matching helical screws. An oil-flooded rotary screw compressor includes a lubricant that fills the gap between the rotors, which creates an air-tight hydraulic seal and transfers mechanical energy between the two rotors. The air moves through the threads as the screws rotate, and the meshing screws force the air through the compressor. CB Process Instrumentation & Controls is a proud Quincy Royal Channel Partner. 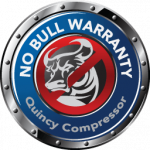 This makes us the sole distributor 100% covered by factory warranties in Western Canada and gives us the ability to offer our customers extended warranty programs on our Quincy Compressor products. 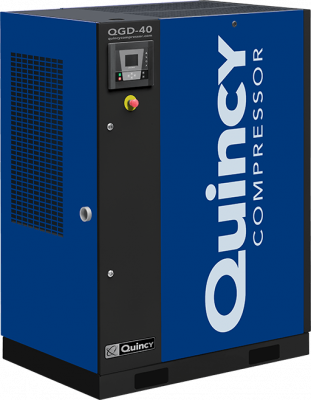 The Quincy QGDV series is a high performance variable speed rotary screw compressor package that can be used in a wide range of applications. All QGDV units from 15 horsepower to 30 horsepower feature industry leading efficiency and serviceability. 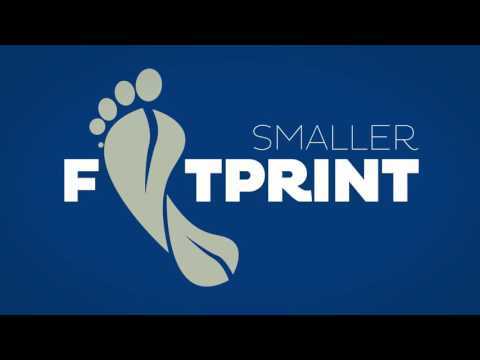 The models can be configured as basic units or can be equipped with some basic options to best fit your application. 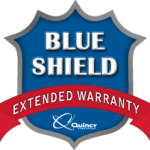 All QGDV models have low sound levels, small footprint and the lowest total cost of ownership in the industry. 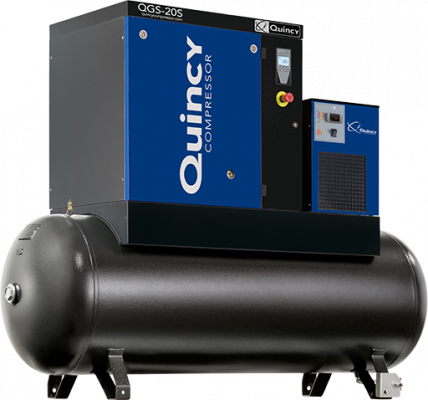 The QGS product line includes 5-30 hp belt screw air compressor models that include a long-life V-belt drive, high efficiency intake filter and a robust TEFC motor. The standard quiet enclosure is designed to reduce vibration and noise levels. 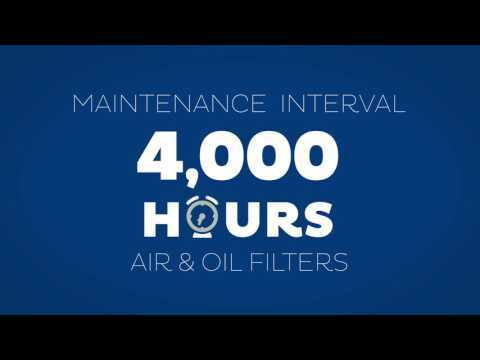 The eight-thousand-hour premium synthetic fuel features a low oil carryover. An integrated dryer and tank mount option is also available. 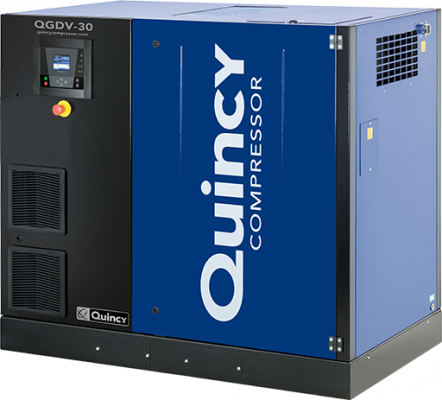 The QGV®️ is a 40-200 hp variable speed compressor featuring a 100,000+ hour direct-drive air-end for reliable, long-lasting performance. The QGV®️ is also designed and built for reduced power consumption, making it extremely energy-efficient. 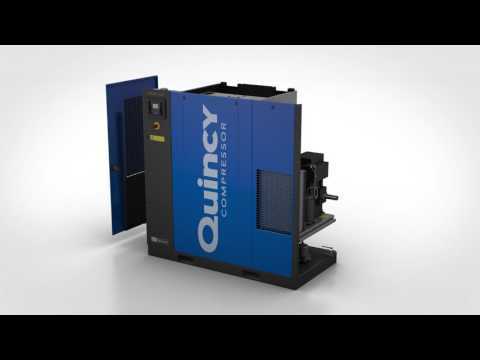 What’s more, the QGV®️ industrial screw compressor includes a standard low-sound enclosure that provides sound levels as low as 68 dBA. You’ll also appreciate the QGV’s easy serviceability. 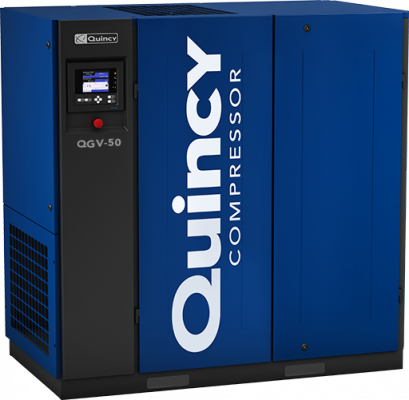 Quincy’s premium QSI product line includes 50-350 hp premium industrial screw compressors regarded as among the most reliable direct drive models you’ll find anywhere. 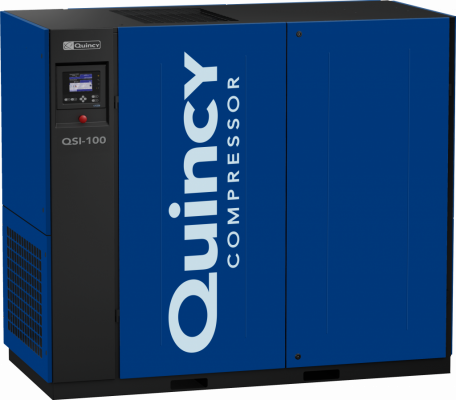 The QSI is available with Power$ync, a revolutionary variable capacity control system that enables the compressor to function as a base-load machine as well as a part-load machine. The 130-thousand-hour design ensures efficient, long-lasting performance.